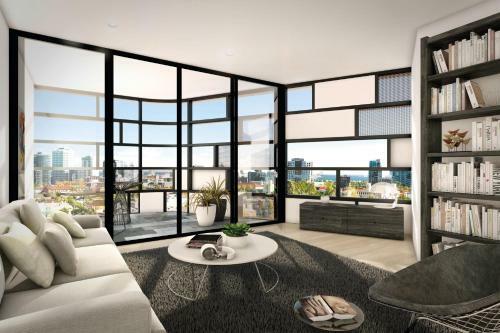 reasonably sized apartments for the price, location to Chapel Street and central to most suburbs. The place was clean, and the staff were attentive to our issues. The location is great, and the staff friendly. We had access to our apartment at 1130, which was great. The positives for this apartment far out weighed the negatives. A modern clean complex, with good facilities. 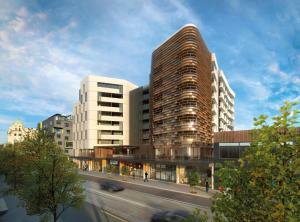 Right across the road from Prahran Market and plenty of restaurants to choose from. Apartments are spacious and modernly furnished. 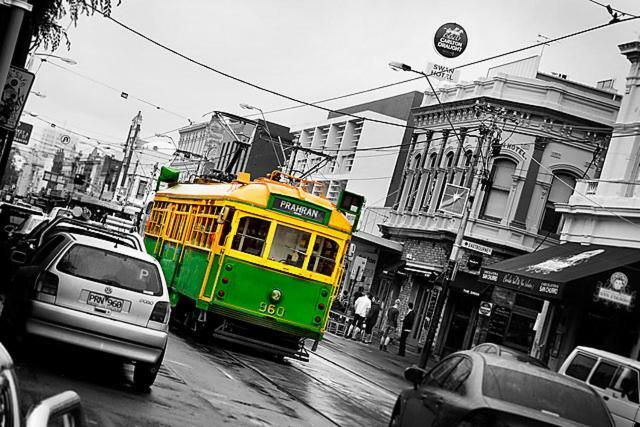 The neighborhood is fantastic: Prahran Market is right across the street, a grocery a block away, Chapel Street with countless restaurants and the apartments are very close to both tram, but and train stops. Spacious, secure, clean, comfortable, reception staff welcoming helpful and friendly. Location and value for money. No need to get in the car. Double room with two bathrooms was a great addition. Close to everything. Very neat and clean. Helpful and accommodating staff. Lock in a great price for AKOM Prahran – rated 8.8 by recent guests! AKOM Prahran This rating is a reflection of how the property compares to the industry standard when it comes to price, facilities and services available. It's based on a self-evaluation by the property. Use this rating to help choose your stay! 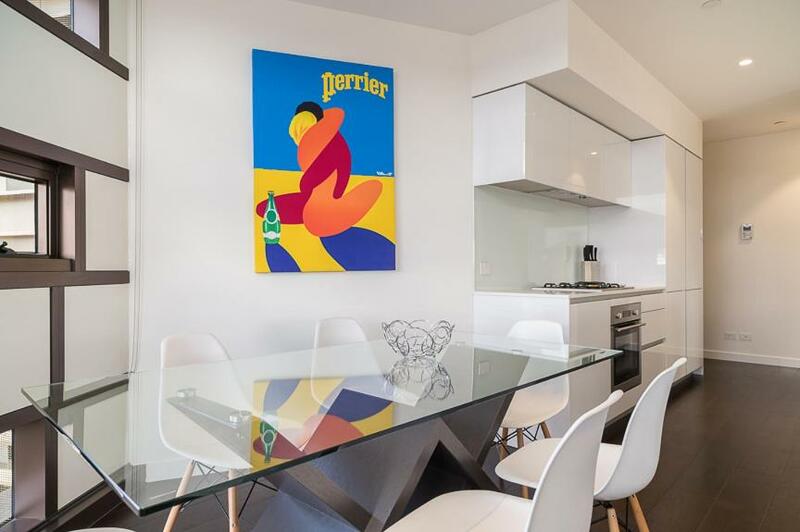 One of our top picks in Melbourne.Ideally located in Prahran, AKOM Prahran (formerly known as L'Emporia), features modern, self-contained apartments with a balcony offering city views. It is within 2 minutes' walk of Prahran Market and several shops, cafes and restaurants. Chapel Street shopping precinct is 3 minutes' walk away. 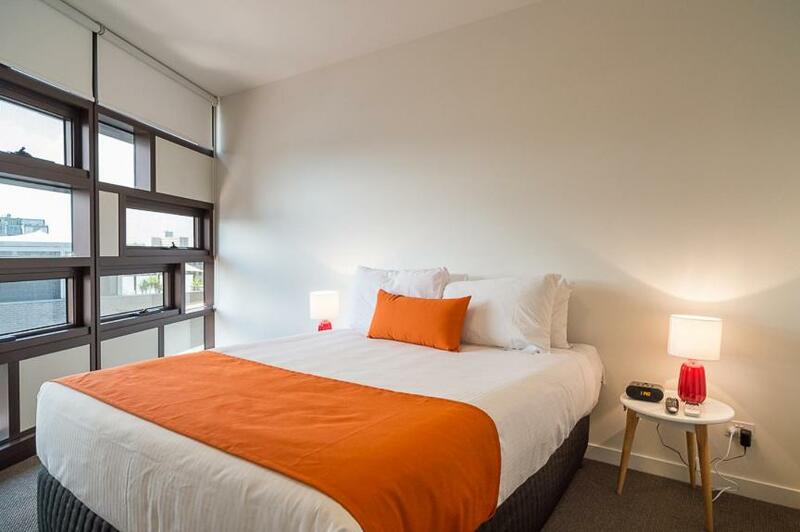 The air-conditioned, boutique apartments each offer a fully equipped kitchen and internal laundry facilities. 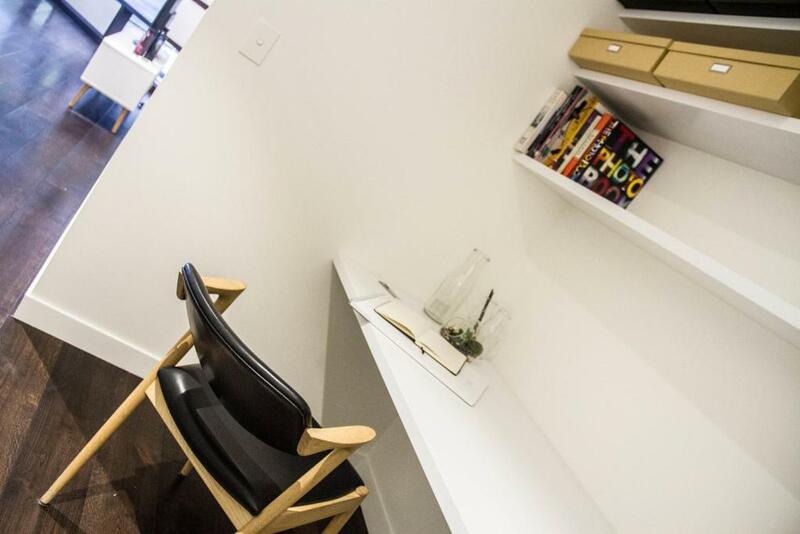 All apartments include a spacious lounge area with a sofa suite, a flat-screen TV and an iPod docking station. 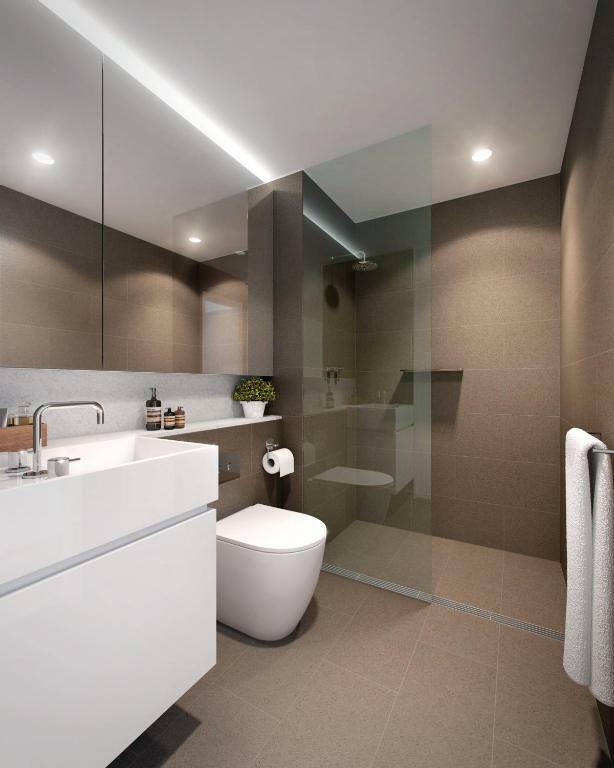 Your private bathroom offers a shower or bathtub, a hairdryer and guest toiletries. AKOM Prahran is 10 minutes' drive from St Kilda Beach. It is within 15 minutes' drive of Etihad Stadium, Southbank, Rod Laver Arena and the MCG. 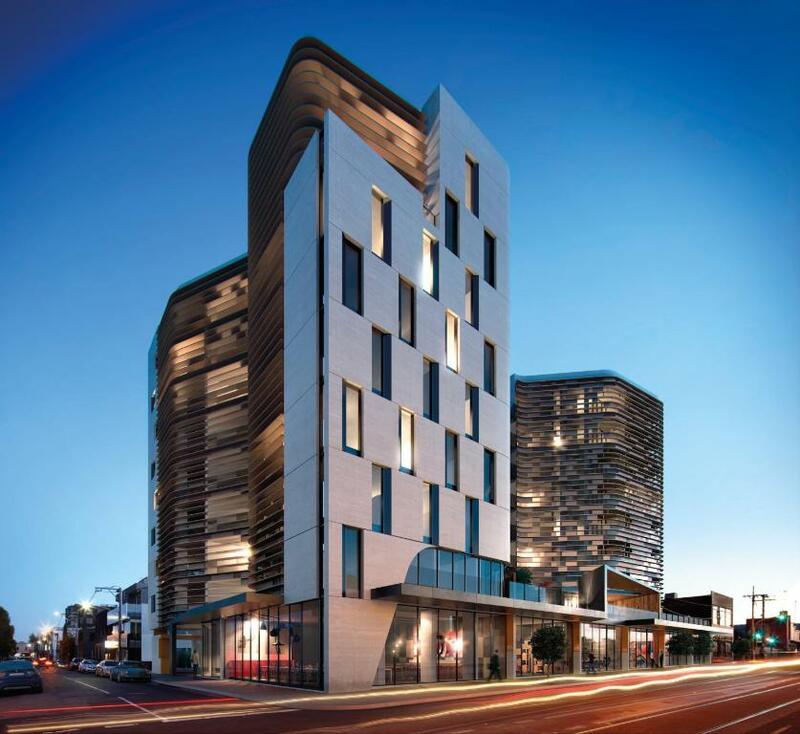 When would you like to stay at AKOM Prahran? This boutique apartment features a bathroom, private balcony, entertainment area, fully equipped kitchen and laundry facilities. Please note the third guest will be accommodated on a roll away bed. Please note that all apartments are individually furnished and the photos are only presented as a guide. Public parking is available at a location nearby (reservation is needed) and costs AUD 15 per day. This spacious apartment features a private bathroom, private balcony, large entertainment area, fully equipped kitchen, laundry facilities and an additional bathroom. Please note the fifth guest will be accommodated on a roll away bed. This apartment features a spacious living area with cable TV, an iPod dock and sofas. It also includes modern decor, a dining area and a private balcony. Area Info – This neighborhood is a great choice for travelers interested in food, coffee and cafes – Check location Excellent location – show map Guests loved walking around the neighborhood! House Rules AKOM Prahran takes special requests – add in the next step! AKOM Prahran accepts these cards and reserves the right to temporarily hold an amount prior to arrival. Please note that there is a 1.25% surcharge when you pay with a Visa or MasterCard credit card and a 3.85% surcharge when you pay with an American Express credit card. Please inform AKOM Prahran of your expected arrival time in advance. You can use the Special Requests box when booking, or contact the property directly using the contact details in your confirmation. Couldn’t get Netflix to work. Having no antenna cord and there no TV on the first night of our stay. However, the problem was quickly resolved by staff the next day. The loud music playing until very late from a nearby pub. But probably par for the course in such a central spot. I had to chase entry details on arrival, the night manager sorted pretty quickly, but I had two grumpy kids in the car waiting! Awesome location, right in the heart of food, shopping and public transport. Nice clean apartment. Very noisy at night but we should have checked that beforehand. There's a rooftop bar and they play music super loud very late. Thankfully the double glazing was pretty amazing so it muffled most of the sound out.